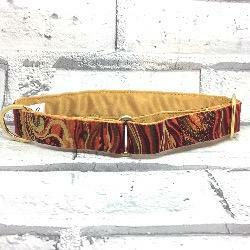 Another collar, fabulous for Autumn time! The striking 'wave' pattern is a full of autumnal shades. We have chosen a gold coloured satin lining and brass fittings to complete the look. Our House Collars are a 'One size fits all Greyhounds, they expand to approximately 18" and are fully adjustable. 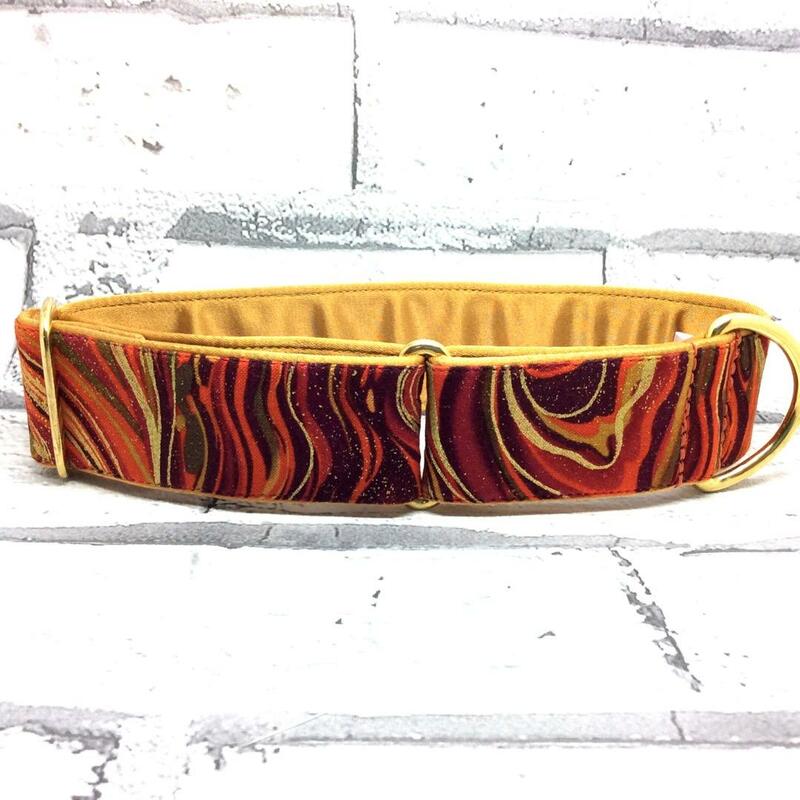 Our Martingale Collars are made to your hound's specific size, please Contact Us with your hounds neck measurements, from just behind their ears.